Common among successful companies is the ability to communicate in more than one language with their clients. This is of great importance, especially in today’s widespread service network. If you want to go global, you’ll need to use a website translation service. To expand your business at a global level you need to be able to connect with your customers in any possible way. Use the opportunity to interact with them in their language via your website. This way of communication can be feasible, if it is carefully planned and carried out. It’s never been easier to translate business websites as it is now. There are several ways to translate your website quickly, successfully and with quality. – Expanding into other countries will bring higher profits for your company and is a great way to maintain and expand your business. By translating your website into another language you can increase your income and profits. – Expanding your company abroad should include an expansion strategy that automatically adapt your website in the language spoken in target country. 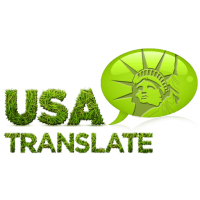 A professional website translation service can do that for you. 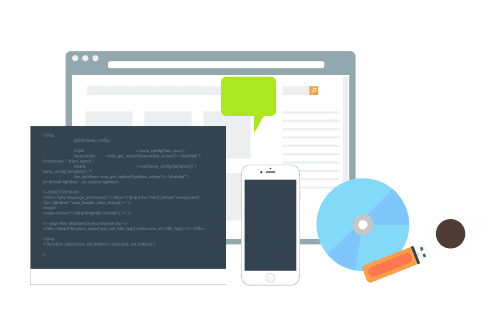 – Your website visitors will be more inclined to become customers if they see you took the time to translate your website in their native language. If your website is localized, the client will be able to understand your content, if it is not, you will be beaten by your competitors who offer the client an appropriate translation. – You have to build trust and credibility of your brand through the content of your website, which will be written in a language that your visitors understand. – Along with the multilingual content that you offer on your website, you must make sure that it complies with all local laws and regulations. A professional website translation service can point you in the right direction for this too. – By translating the content of your website to as many languages as possible, you will ​​get more traffic. Do not use automatic translation tools for your business content, because they are not a perfect translator and the smallest errors in translation can have disastrous consequences for your business. Always look for a professional website translation service. – You can gain an advantage over your competitors. Not all content on global websites are translated in other languages. Top languages ​​to translate your web site besides English could be (depending on your target) German, Russian, Spanish, Arabic, Chinese, Portuguese, Japanese, Polish, Italian and French. – Launching your website in a foreign language does not mean that you will automatically get results with it. It takes more than that and you need to also translate your marketing materials to get more coverage. A professional translation service will be able to provide that too. – Today’s world is more connected than ever before. In 2014, there were 968,882,453 websites online, and that number is growing every second. the entire world is online now, and so should your company be too. – Stand out ahead of the competition by having your documents translated into a language that your direct competitors do not offer yet. In today’s world when everyone is online, a website translation service should be seen as an opportunity rather than an expense. Use this opportunity to turn your company more successful at a global level.